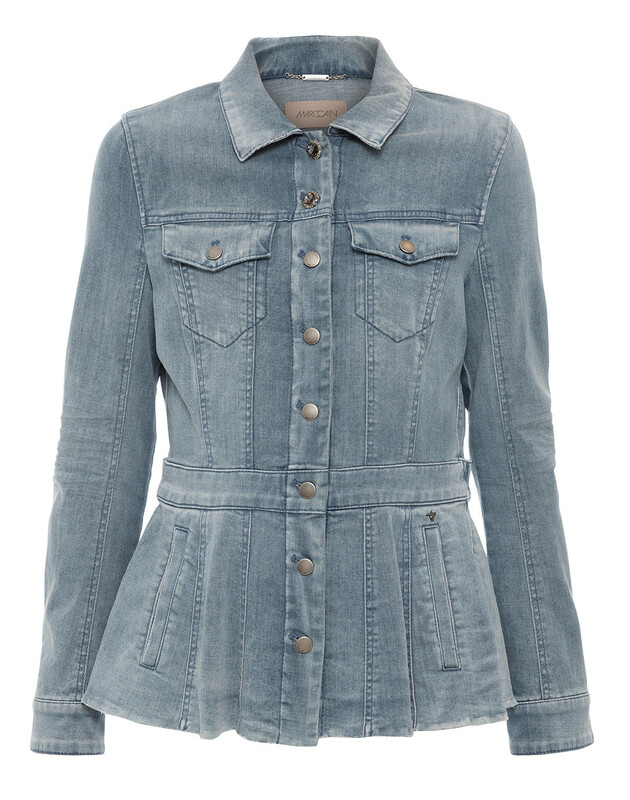 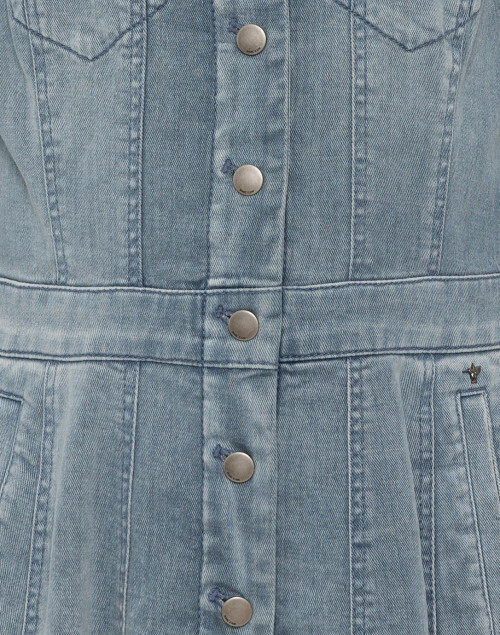 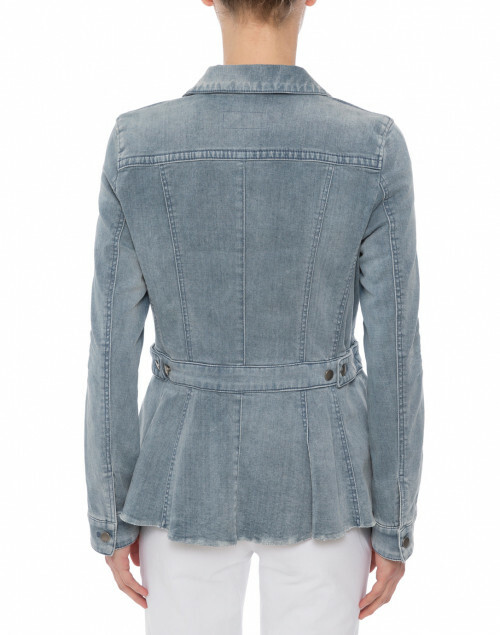 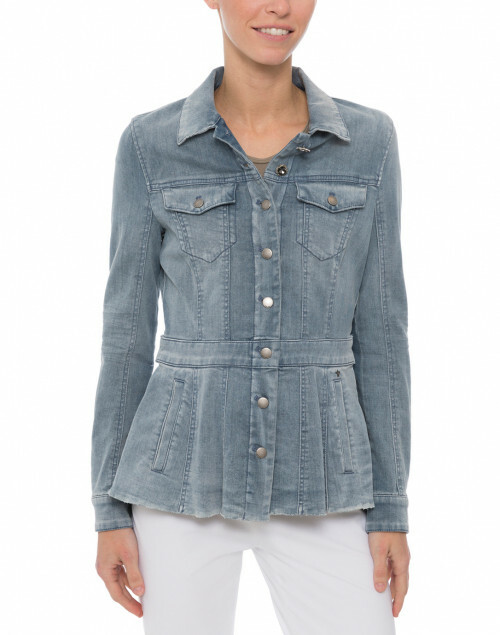 Marc Cain elevates the classic denim jacket with an array of feminine details. 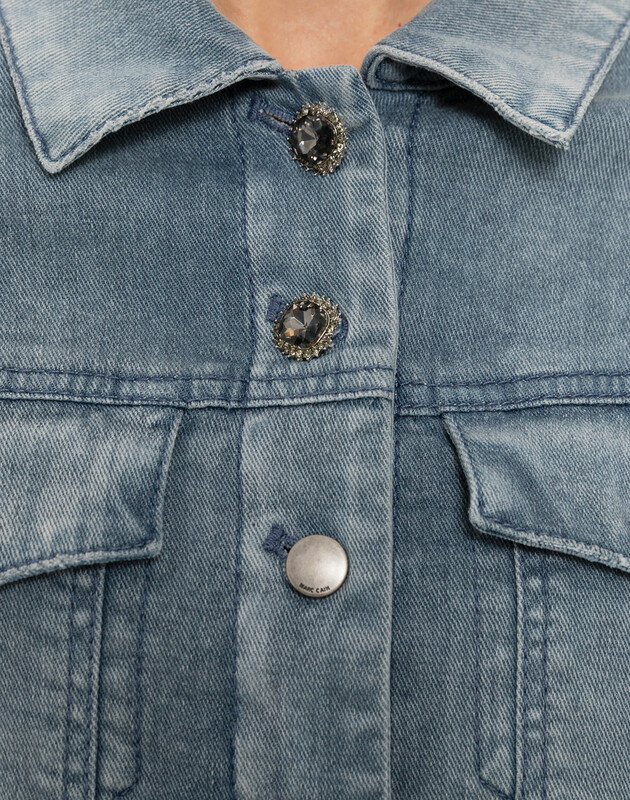 This vintage indigo jacket is cut from stretch cotton fabric to a peplum silhouette and features decorative chest pockets and two crystal buttons at the top. 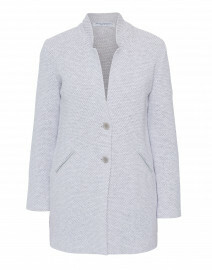 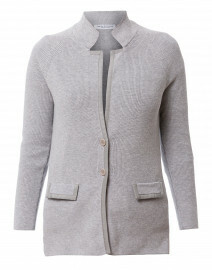 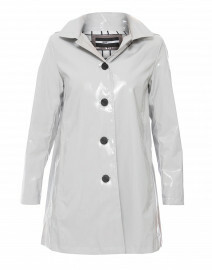 Wear it with a beige top and white jeans for a polished, off-duty look. 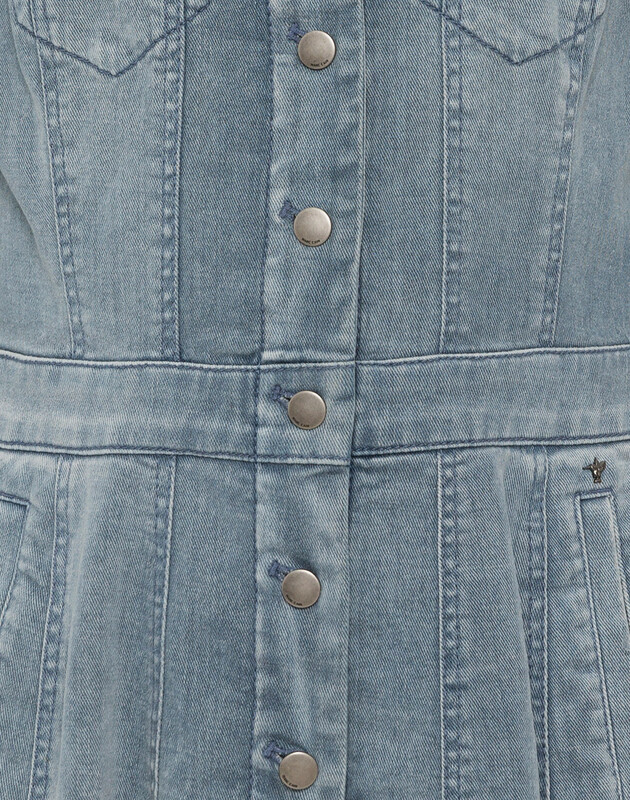 Length 25" 26" 27" 27.5" 28" 28"
Bust 32" 33" 34" 35" 36" 38"
Waist 26" 28" 29" 31" 32" 33"
Hip 38" 39" 40" 42" 44" 46"
Sleeve Length 24" 24.5" 25" 25" 25" 25"